With the graduation from middle school still fresh in her mind, Kotomi Miyazawa begins a new chapter with the start of her high school. With this new start, she have decided to go with a new hairstyle that shocked her family, as they were not used to seeing her with it and made her more attractive. During the self-introduction, what made her stood out from the rest was that she said that she could have gone to the well known academy at the top of the hill the school is at, but chose to go here instead so as to help the others. She also added that she's the niece of the well-known Kenji Hirano, works with him in a job position that would require a degree, and knows several foreign languages well. Because of her beauty, smartness, and what she just said, everyone gave her a big round of an applause. 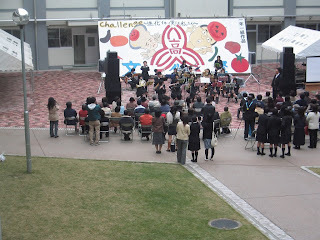 The teacher added on to say that Kotomi is one of the top scorers for the entrance examinations. What everyone didn't know, however, was that Kotomi herself wasn't aware what she just said. Later on, the guys of class 1-1 found opportunities to secretly took photos of her and send it to people they know in the upper years or the photography club for prints. 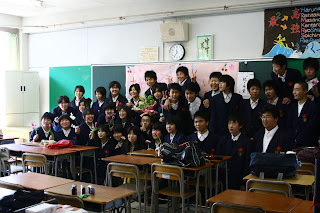 However, it's those upperclassmen who started the "Miyazawa Kotomi-chan Fan Club" and that the photography club is secretly known among the guys to be selling and taking photos of girls around the school. With them being aware of Kotomi's enrollment, they would try to find every opportunity to focus on her. Kotomi is aware that someone has been sneaking around and secretly taking photos of her, but pretends to not know about it as, in her mind, she has more important things to do than to deal with them. Itsuki Hisakawa was one of the guys who bought photos of her and other girls from a guy who was just about to take a photo with an SLR camera behind the bushes when most of the clubs were actively promoting their clubs. 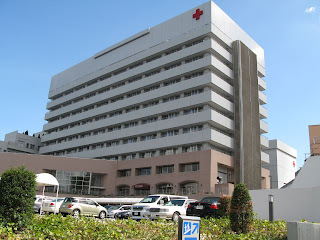 In the evening of Kotomi's first day, she arrived at the largest hospital in the city to work. Her colleagues did not recognize her at that time and mistook her for just another visitor as she was wearing her new high school uniform and had a new hairstyle. It wasn't until Kotomi greeted them, heard her voice, and showed her employee pass, when she entered her workspace that they realize it's her. At first, they thought she was trespassing as it's an employees-only area working with potentially hazardous chemicals. Except for her and her cousin, Aiko Hirano, everyone working there are in their mid-20s or older. Kotomi's uncle, and the director of her company, Kenji Hirano, had earlier went to visit the branches owned by the company in the city to see how things are progressing. (The company also has branches in various cities overseas. All the employees know very little on the ones working outside their branch, except for the people at higher level.) That evening, he entered the office to check with something he was reminded of. He took out an old box labeled "Documents regarding a device to completely modify a person's gender" in German. In it contains various documents, such as experiments that he had done to his younger sister's fetus 16 years ago to change its gender during it's development. The experiment was a complete success as his sister gave birth to a healthy baby girl. DNA checks shows that the change was absolutely complete as there were no visible traces that the baby was originally meant to be developed as a boy and that the baby has now developed to become a young lady. He also did the same for some of her children born later on so that there are alternating patters of the gender of her children. He has future plans to develop one that would work on a grown up or even on oneself, in addition to other things. The device could even be as small as a watch. As he was looking through for other stuff in the box, someone knocked on his door. Without thinking or looking at the door, he asked that person to come in. As he looked up when he realised that there was silence, he saw a female high school student, that had a famillar face, staring at the box he was holding. He asked to himself, "Who is this girl? What is she doing here? Why does she look so familar? I have to ask who she is. ", since he doesn't recall anyone with that hairstyle and uniform. Kenji: "Excuse me, miss. May I know who you are, or if you had any business with me?" High school girl: "Uncle, don't you know who I am? I'm Kotomi Miyazawa, your younger sister's eldest daughter... Why does everyone here today not recognize me?" After waiting for his daughter, Aiko, the three of them headed to the hospital carpark in the basement where his car is parked. On the way to send her neice home first, she talked about an international programming convention she saw in the papers in the morning. Kenji got excited as it could be an opportunity to employ someone to assist with programming and the mechanics from there. He then brought up the topic of the first day in high school of the girls. His daughter said that the school was so big that she got lost finding the exit when exploring and only got out with directional signs and the help of others. His neice said that she met up with an old kindergardern mate of hers and became friends with her again but her setence seem to end mid-way. After dropping Kotomi by her house, Kenji said to his daughter if he recognized her cousin earlier that morning. She replied that she didn't, but since she knows her well, seen the uniform on the day the results came out, and that she heard Kotomi's voice from behind as she calls out in a famillar tone, the surprise wasn't that much to Aiko. On the day of the international programming convention event, Kenji and some of his collegues attended the event. What they are looking for is someone who can do programming reasonably well, and not necessary one who comes out at the top. If there are many canditates, which is expected, they would look at their background, with top piority given to the young and less fortunate ones. At the end of the event, they have spotted some candidates. A man in his 20s from that country that seem to know Kenji's daughter's classmate well, and a local guy who is of the same age and school as Kotomi. These two have displayed their fine skills who had to overcome their financial hardship to be here. Although one of them won the whole competion, he still fits the creteria they were looking for. Kenji does not know who his collegues has chosen, but he's ready to prepare the legal documents and accomodation should the foreign candidates be interested to work in this country. Otherwise, they can work at their branches or afflites, but can't garuntee the working environment or pay there. 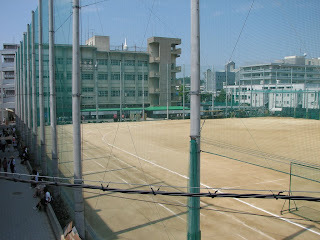 The starting work day for the local winner is some time after golden week. The manager of there will be informed to look out for a guy named Itsuki Hisakawa. On a particular lunch break some days later, people of class 1-3 were about to head towards the cafeteria when they heard a commotion from down the corridor. First, they heard the noise of a table, followed by a girl's voice they never heard before, followed by a loud noise. They hurried to the corridor and saw a girl lying on top of a guy, kissing him. They couldn't see the girl's face, but she seem to have the hairstyle of the famous Miyazawa-san. Since they heard a voice different from hers, they immediately conclude that the girl was an imposter and started spreading the rumours. The guys were excited that there was a girl who would do such thing and even congratulated the guy whom she kissed for being so lucky. The girls were thinking of doing the same thing to attract the guys, but what they saw was too perfect for them to do. There are however, people who are angry that there is a girl who would dusguise as Miyazawa-san and think that it made her look bad. During the music club, Itsuki Hisakawa seems to have problems concentrating and the way he played the instruments is obviously out of tune. Some of them knew about the incident that happened to him earlier and adviced to head home early for the day. At the shoe locker, Itsuki met up with Kenjiro Tanigawa, his classmate and best friend, as he was changing shoes before heading out. Kenjiro: "Oh, Itsuki. I thought you had club activities today?" Itsuki: "Kenjiro... They made me head home early from the music club today." Kenjiro: "Well, true, but didn't you know? Class 1-1 is Miyazawa's classroom! That girl who was pretending to be her even bothered to rush down to her classroom, waited for you to walk past the front door, and pounce on you! It's not everyday our teacher would held us back that would take up that much of our lunch break, so she picked the perfect timing and used Miyazawa-san's name so that you don't know who she really is. I'm sure you would get a love letter from her quite soon. Ah! A secret admirer! Your luck seems to be turning around. Hahahaha. I wish I would be as lucky as you! I don't even have a girl following me around." Itsuki: "Do you think that it could be Miyazawa-san herself?" Kenjiro: "Hahaha, I don't see how that is possible as she don't seem the type who would be interested who scores as bad and poor as you and there are already a lot of guys who are interested with her and you are competing with them to get her attention. Look at the bright side: there is someone interested in you." Unknown to them, Kotomi overheard most of their conversation from the rooftop. Some days letter, Itsuki found a strange letter in his shoe locker one day. It wasn't the love letter he was expecting. It's been brought to my attention that I have an uncontrollable affection for you. I would like to appoint a rendezvous with you inside the storage room on the third floor of your school. Please do not bring anyone along. If there is no one inside, please wait close the room door and wait for me inside. It is of uttermost importance that I would meet up with you. If someone who doesn't understand the language I have been writing to you were to look or query about this letter, please disregard what has been mentioned here, except my name, and instead mention to them that someone from the United States is congratulating you for being employed into the company at such a young age. On Friday, a dam burst in a southwestern suburb of Jakarta, Indonesia, killing at least 52 people and displacing a further 1,490. Officials, however, warn that the death toll will likely increase. The cause of the accident appears to be due to heavy rains that night, which overfilled the Situ Gintung lake behind the broken dam. "The dam was an old dam, 16 metres deep. Last night, because of heavy rain, the dam could not hold back the water so it broke," said the governor of the Banten province, Ratu Atut Chosiyah. The breach occurred at approximately 02:00 local time (UTC+7), when many people were in bed, asleep. "People were still sleeping and couldn't do anything. Many people are still trapped and the rescue is ongoing," a local official said to Agence France-Presse. Rescue efforts were hampered due to a deluge of mud and debris from the dam. "We're still trying to get into the houses, but the problem is, mud is getting in our way," social affairs spokesman Mardjito said. The President of Indonesia, Susilo Bambang Yudhoyono, offered his condolences to the victims of the disaster. "We will provide emergency help to the victims. For those whose homes were destroyed, the government will help with the repairs," he told Metro TV. A major concern following this flood is the risk of water-borne diseases such as malaria. These problems are made worse by the local climate being very hot and humid. The Situ Gintung dam was built early last century, during the Dutch colonial rule. It was holding back a lake of about two million cubic metres of water. Ps. Please forgive me for writing to you in this manner. I'm not familiar with writing this way myself. The above news from the second paragraph onwards was to just make this letter seem longer. Itsuki was at a loss of words on what the letter contained. He brought it home to verify the contents. Just who is this Coltrane Gorbachev written in the letter? He went to the time and location stated, and it turned out to be Kotomi herself. She also showed him the entrance to the roof that no one else seem to know how to get to. That was when Itsuki started to become Kotomi's boyfriend. Itsuki thought that the title written below the name is fictitious just to make it look real, so he didn't think much about it. In the May of about a year latter, 2 dramatic events happened: One of the candidates that Kenji Hirano chose at the International Programming Convention was killed in an accident with a truck, but his soul transfered to his childhood friend. Kotomi's boyfriend was working on something, but it somehow turned him into a girl called Saeko Hisakawa and the world around her seem as though Saeko was born a rich girl where she is staying at a luxurious recently-completed apartment instead of a run down house. On top of that, Saeko was clonned later on. Of course, Saeko herself was shocked herself on what happened and found out that she's attending the other school, where Kotomi's cousin is. Because of this, and not knowing that Itsuki is now Saeko, Kotomi had became depressed that her boyfriend is no longer coming to school anymore as she can't find him. However, when asking around for Itsuki's whereabouts, nobody, not even Itsuki's classmates, seem to know who she was talking about. Describing what Itsuki did the year before seem pointless as it, too, produced the same results. It was that very week that Kotomi planned to confess to him that she loved him, but her boyfriend seemed to have vanish into thin air. She didn't even want to go on a holiday her siblings were headed to and would rather work. During the preparation for her school festival, there seems to be a comotion going on that there is a girl called Mamiko from Kotomi's cousin's school running around with Itsuki's best friend, but Kotomi was not able to spot the girl at all. When Kotomi saw the news report of the stabbing incident on TV before the summer holidays ended, she found the faces and the behavior of the so-called twins awfully familiar, but wasn't sure. Like other news reports, she doesn't find the names Saeko and Mamiko Hisakawa a link with the rumors going around or the patient who was admited at the hospital she works at, despite the victim spotted in the news wearing the uniform in question in both. She then offers Mamiko to have a walk around and show Maimiko the various stalls and attractions. What Kotomi found strange as they walked around was that even though she knows that the girl she is with is her boyfriend from last year, the feeling of being attracted to seems to have mysteriously disappear and is able to talk normally. To add on to the confusion, Kotomi doesn't know which names or gender-specific terms to address her boyfriend as, besides her family name. Itsuki is her name before she became a girl, Saeko is the current name, and the Mamiko with Kotomi now is her clone, but Saeko is able to control her clone as though she is her. On the day of Aiko's school festival, at a cafe in the college section, Kotomi is sitting next to a sleeping Mamiko. Mamiko was crying loudly out of control earlier. When Saeko appeared there later on, Kotomi checked if the devices that was used to transform her boyfriend back in May, on both Saeko and Mamiko, is the same. It turns out that they are exactly identical. With some figuring out, Kotomi has set the device on Saeko to make her turn back into a guy before the upcoming Christmas in such a way that Mamiko still exists and that they both have the same house as now, which, of course, Kotomi didn't say. This means that one of them would go to the same school as Kotomi, while the other remains there. Mamiko still remains a girl because, technically, the clone is based on what Saeko/Itsuki was at the time of cloning. The merging of minds is a seperate event, so after changing back into a guy, Saeko/Itsuki would still be able to control the clone, as though they are Mamiko.